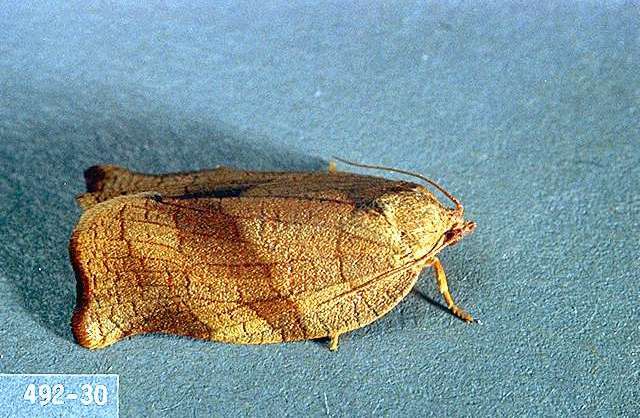 Pest description and damage The leafroller pests can be divided into single-generation moths, such as the fruit tree leafroller and the European leafroller, and two-generation moths, such as the oblique-banded leafroller and three-lined leafroller. 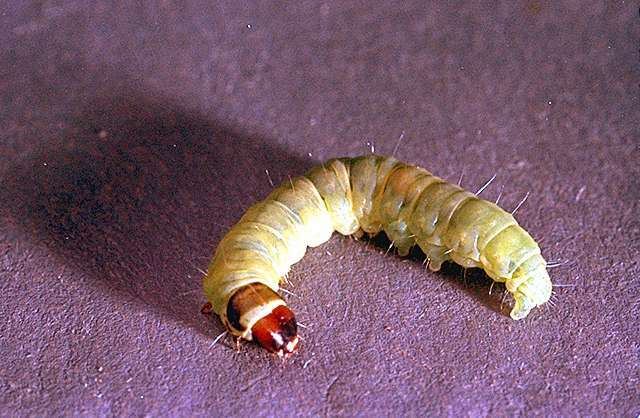 The larvae are mostly green caterpillars with a light brown to black head. Adults have distinctive bands or mottling on the wings but are rarely seen. 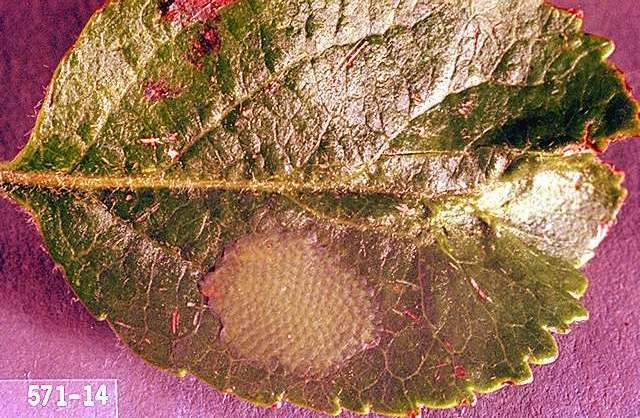 Leaftiers are similar in appearance, although larvae are up to 0.5 inch long, dirty white, with a brownish head. The tortricid moth larvae are noted for their violent backward wriggling-a means of escape. Newly hatched larvae also may work into blossoms. The larvae web the leaves and flowers together beginning in late April, and then feed on the developing fruit or flowers. 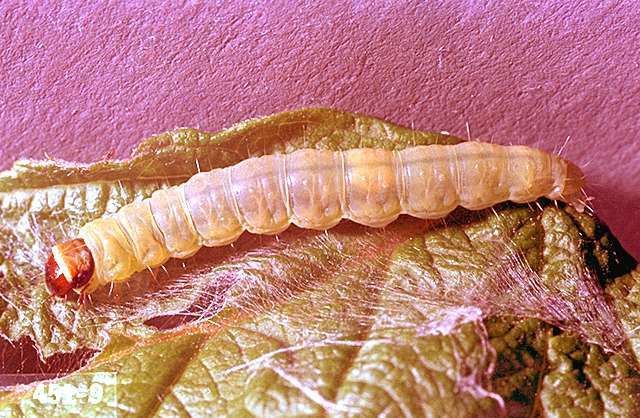 Larvae may also feed on the surface of ornamental fruits or berries.